The history of climbing in the Andes has more unanswered questions than that of any other mountain range in the world.This climbing history began in the late Stone Age and covers a span of more than 15,000 years. "The Andes" is a climbing history that spans the ages, documenting the ascents of thousands of adventurous souls of all epochs: from unknown cavemen, hunters, Indians, grave-diggers, and miners to explorers, scientists, surveyors, artists, and, of course, modern sportive climbers! 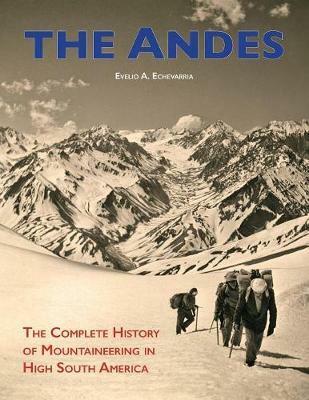 With a wealth of 824 pages, 290 illustrations and 60 maps, "The Andes: The Complete History of Mountaineering in High South America" is unparalleled in its breadth and bravely faces these unanswered questions.